Every year, the number of women competing in the USA Powerlifting Women’s National Championships increases. With the ever-growing popularity of the sport among women, it’s hard to imagine that within two generations women’s powerlifting was unheard of. As in all things, there were firsts in women’s powerlifting. Not only did women cross over to the platform and begin competing, they also shunned tradition to become judges, promoters, and coaches. Equally as important were the men who supported their endeavors. It was with this ideal that a motion was put forth at the 2003 Women’s Executive Committee meeting to honor those women and men who set the standards for current and future women powerlifters. The inaugural inductees to the the Women’s Hall of Fame not only set the bar in many aspects of our sport, they continued to push those limits beyond the imaginable. In this respect, it is our hope that by honoring these individuals and preserving their accomplishments, history will repeat itself. Click on each athlete’s name to view their bio. 2004 marked the inaugural year for the Women’s Hall of Fame. The Committee choose to induct a handful of pioneers that made a significant impact on Women’s Powerlifting. Choosing just one individual to honor was nearly impossible. Looking down the road and into the future years of the Women’s Hall of Fame, one individual will be inducted each year. One inductee each year will be a woman, odd years, also could be male who has made a considerable impact on the movement of women in powerlifting, such as Pat Malone or Terry Todd. The Committee welcomes your nominations. The inductee must be current or have been a former member of the USA Powerlifting/ADFPA in good standing. The inductee must have made historically significant and noteworthy contributions to USA Powerlifting/ADFPA women’s powerlifting. The inductee must have served as a role model to other female athletes because of inductee’s performance and leadership. The inductee must have in some notable, significant way worked for the promotion, advancement, and betterment of USA Powerlifting/ADFPA women’s powerlifting. The inductee shall have no drug infractions pursuant to USA Powerlifting/ADFPA organizational rules or from any other powerlifting organization, and the inductee must not have received any prior USA Powerlifting/ADFPA suspensions. 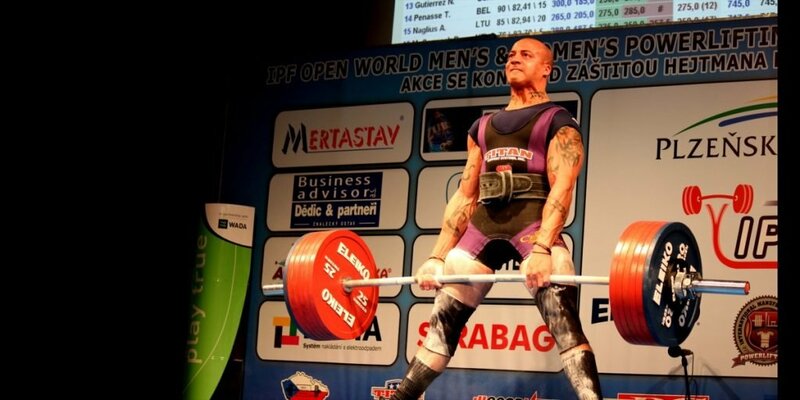 If an athlete, the inductee must have competed in the ADFPA/USA Powerlifting at least 5 years. If an administrator, must have served at least 10 years in the ADFPA/USA Powerlifting. Each year, one inductee shall be a woman and in odd years, there may be an appropriate male inductee. There may be more than one inductee but not more than two inductees in a given year.